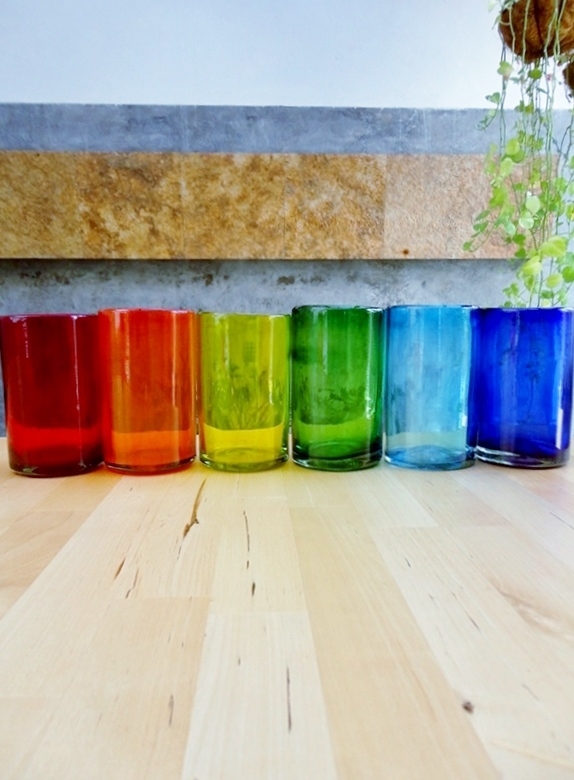 Wine tasting has never been this colorful. 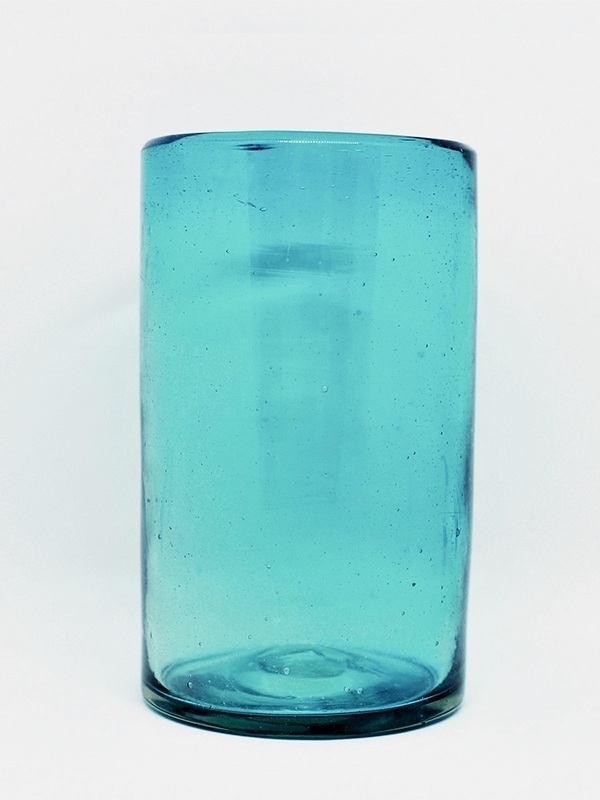 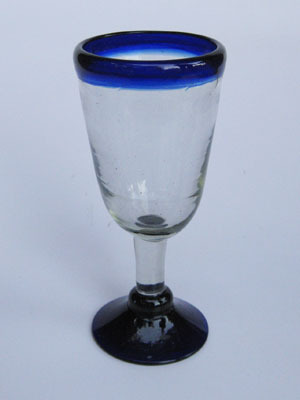 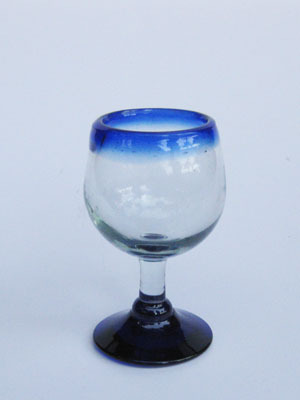 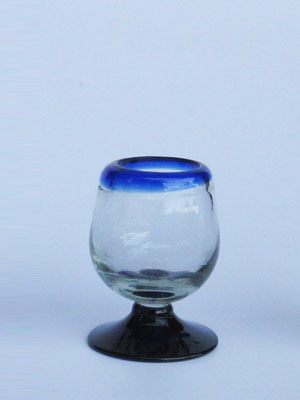 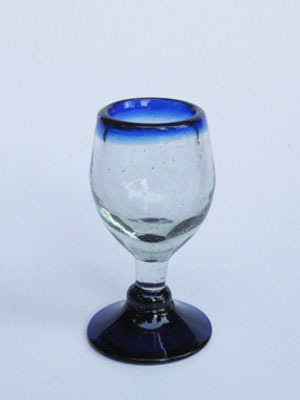 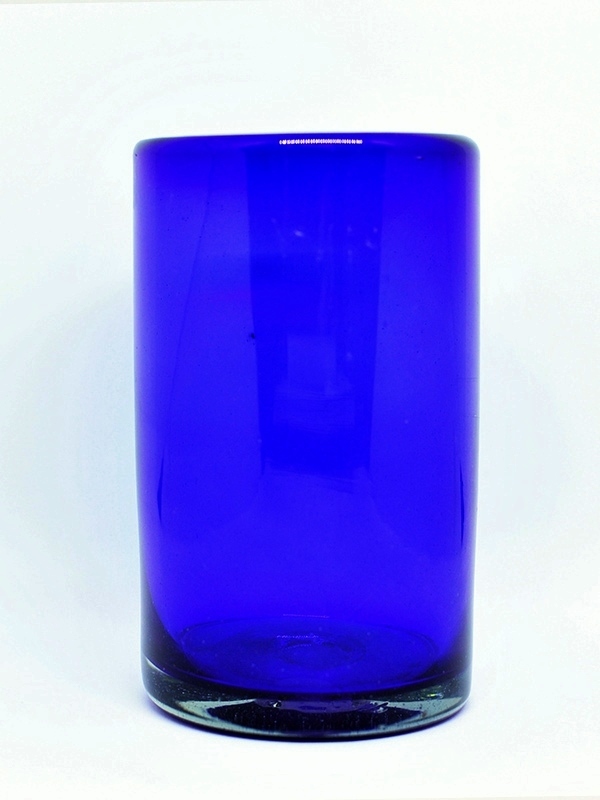 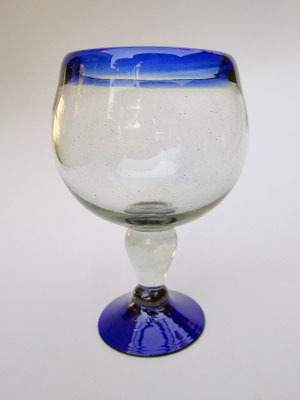 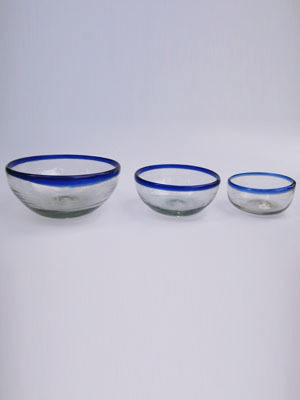 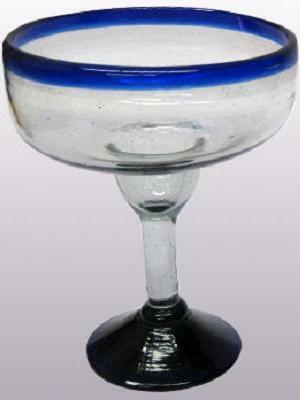 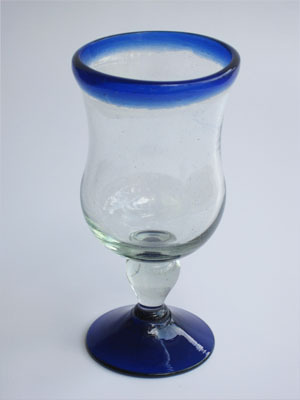 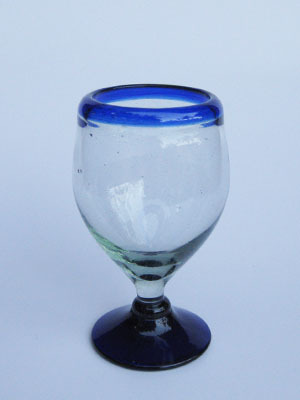 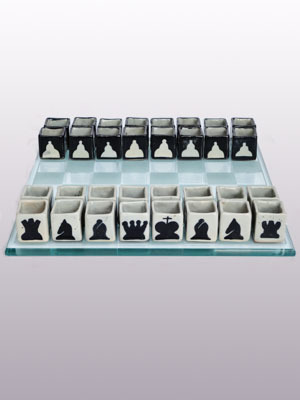 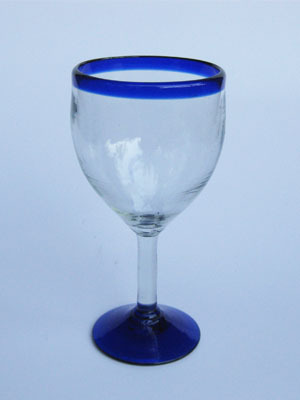 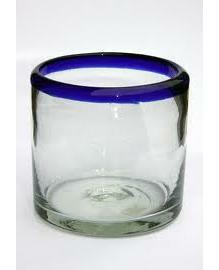 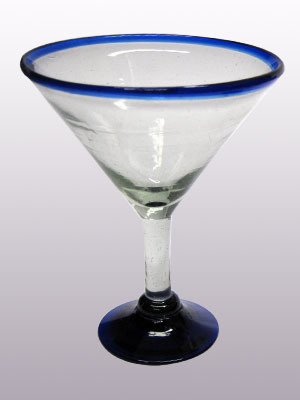 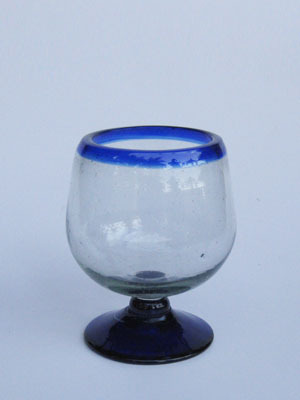 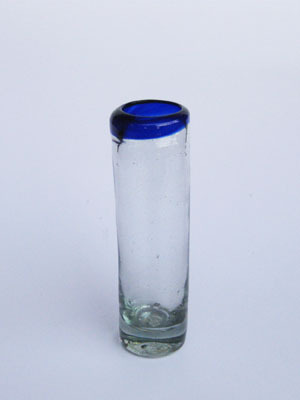 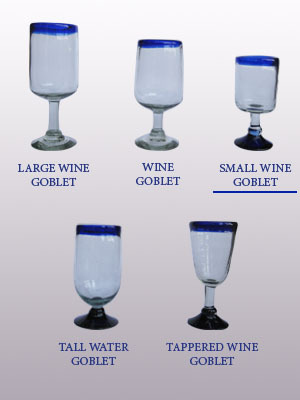 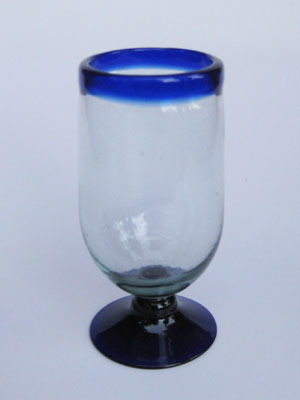 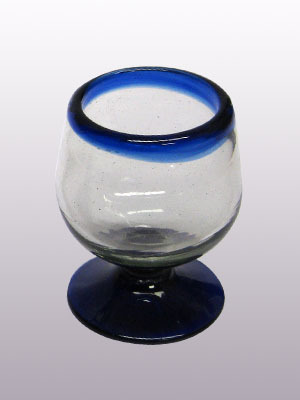 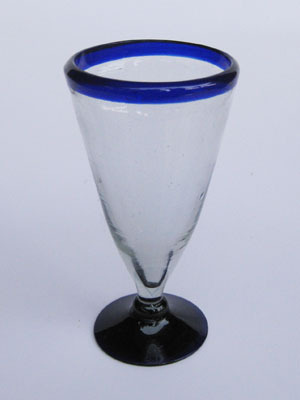 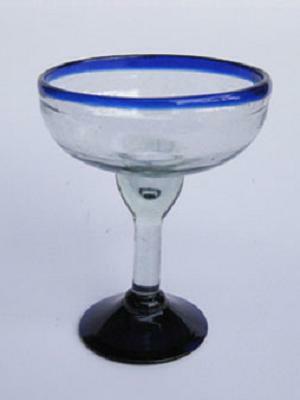 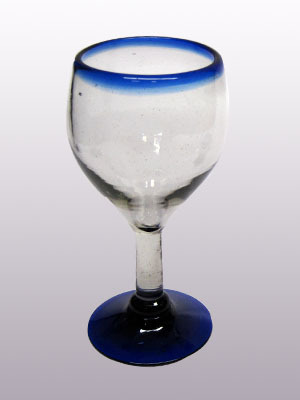 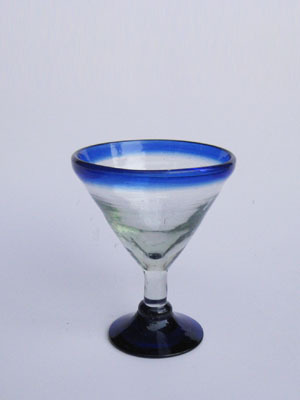 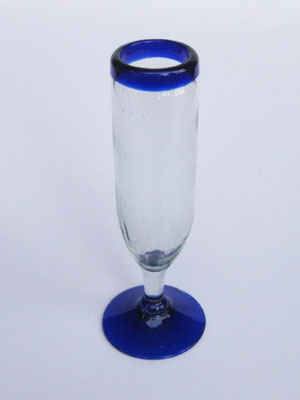 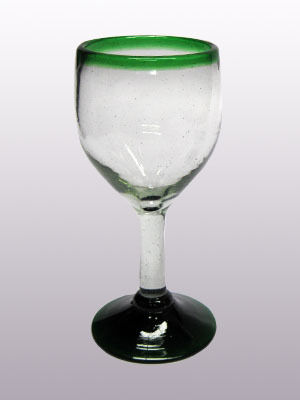 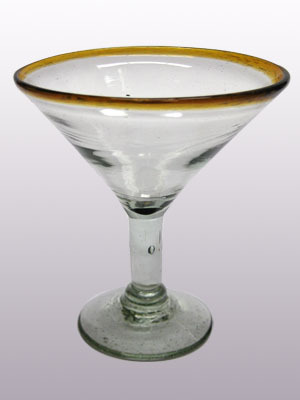 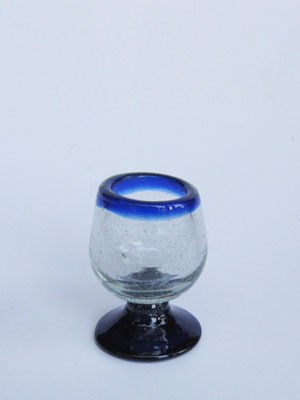 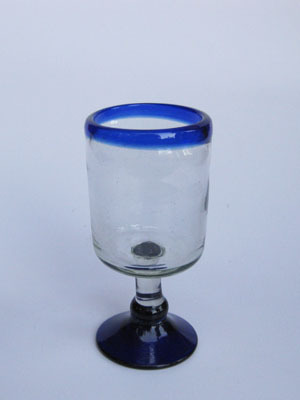 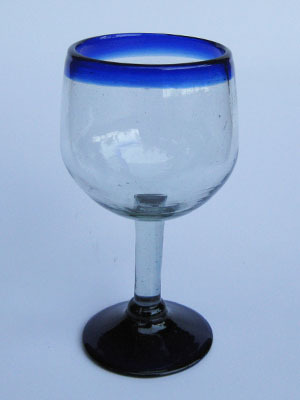 Small wine goblets for the enjoyment of red or white wines, each comes adorned with a cobalt blue rim. 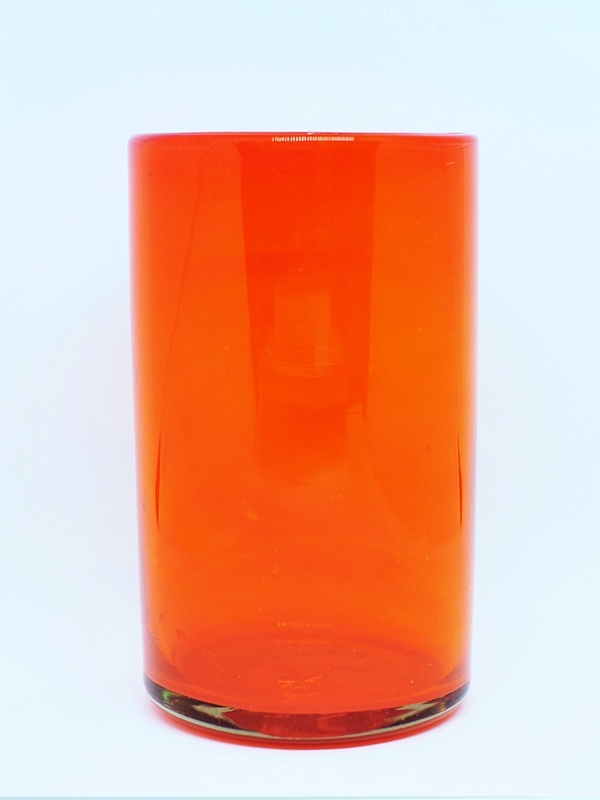 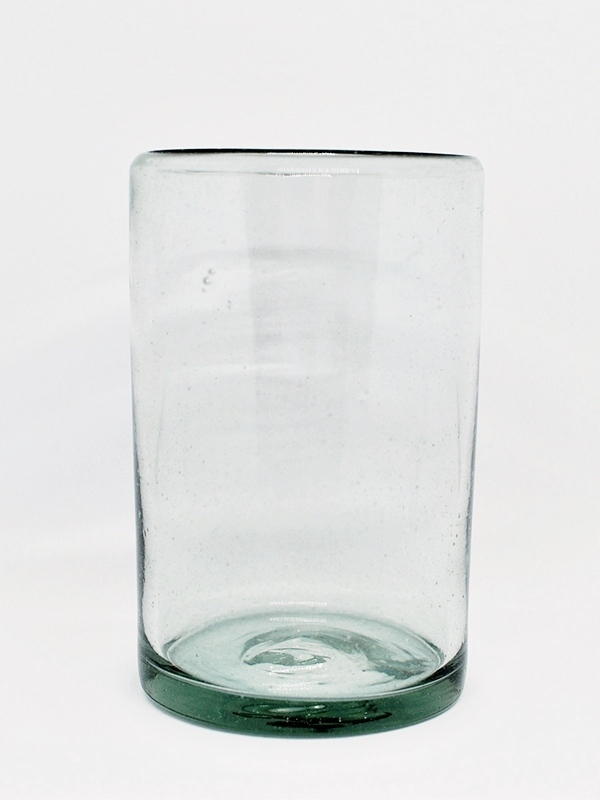 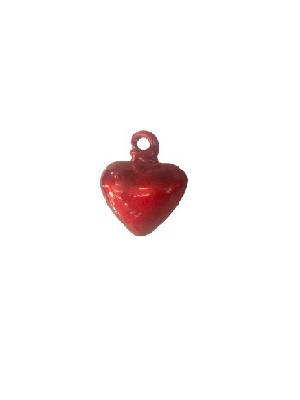 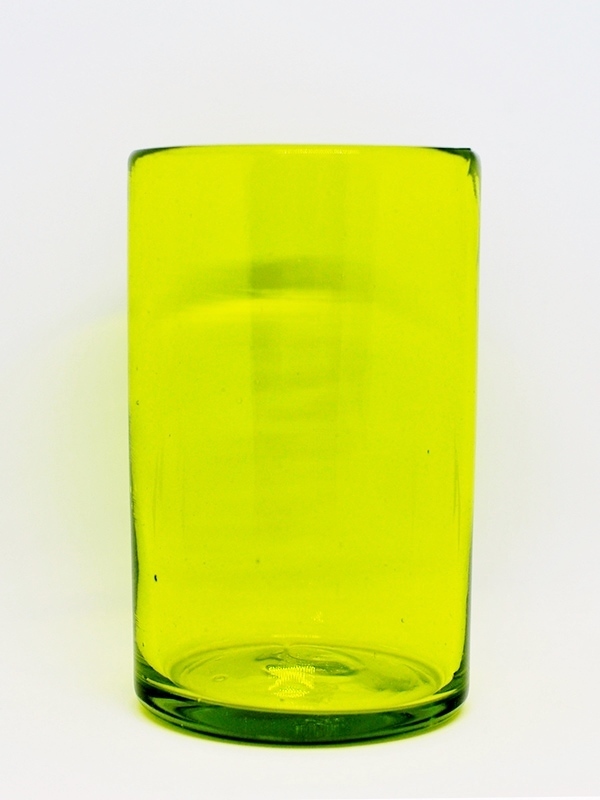 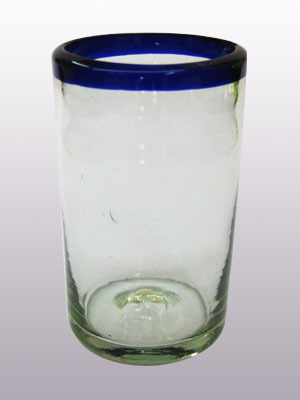 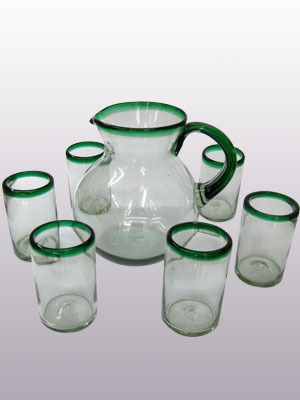 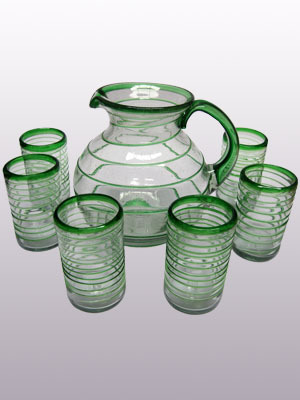 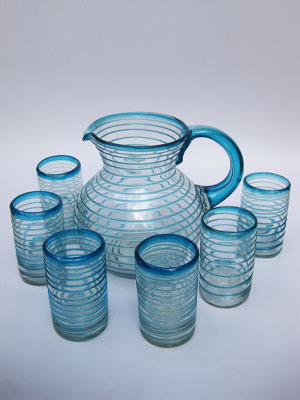 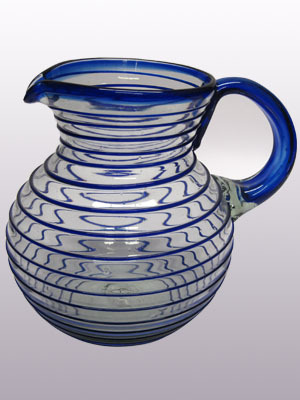 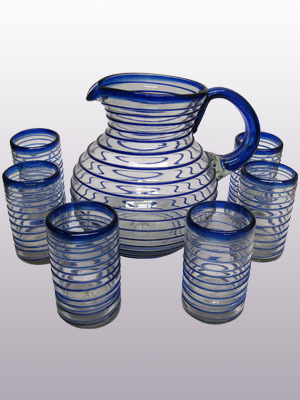 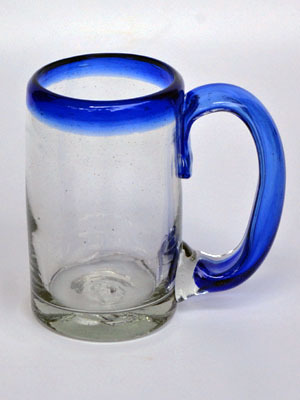 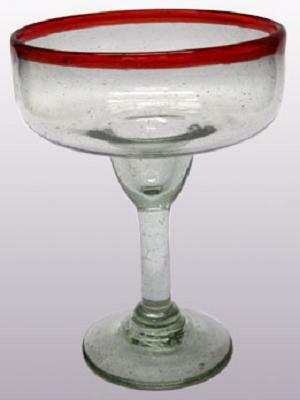 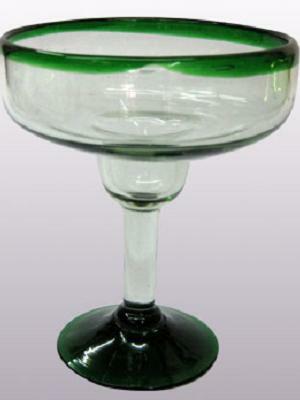 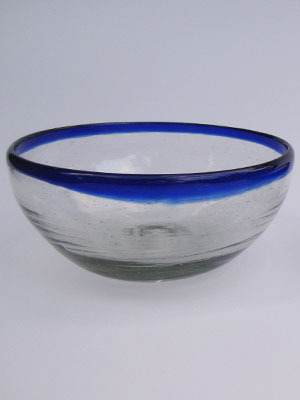 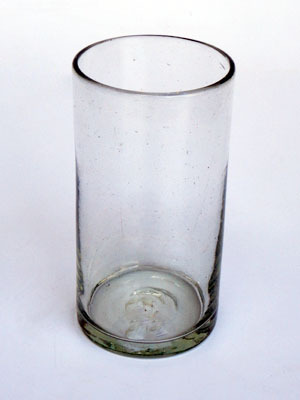 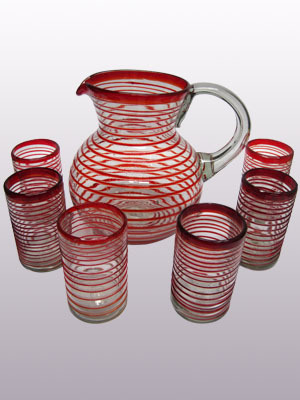 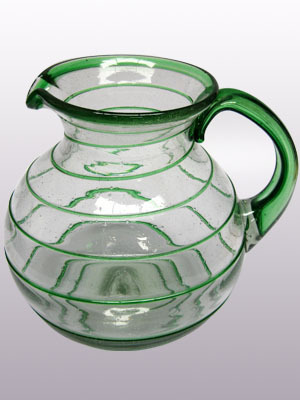 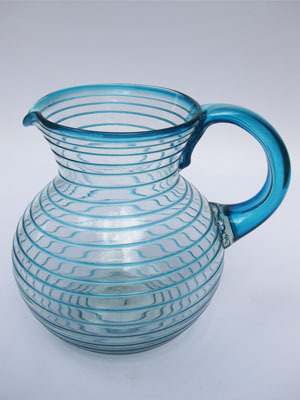 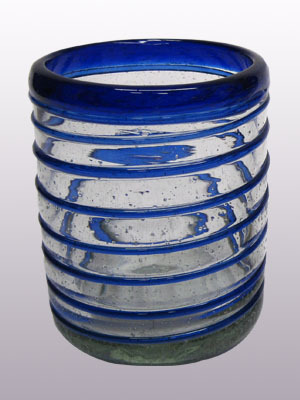 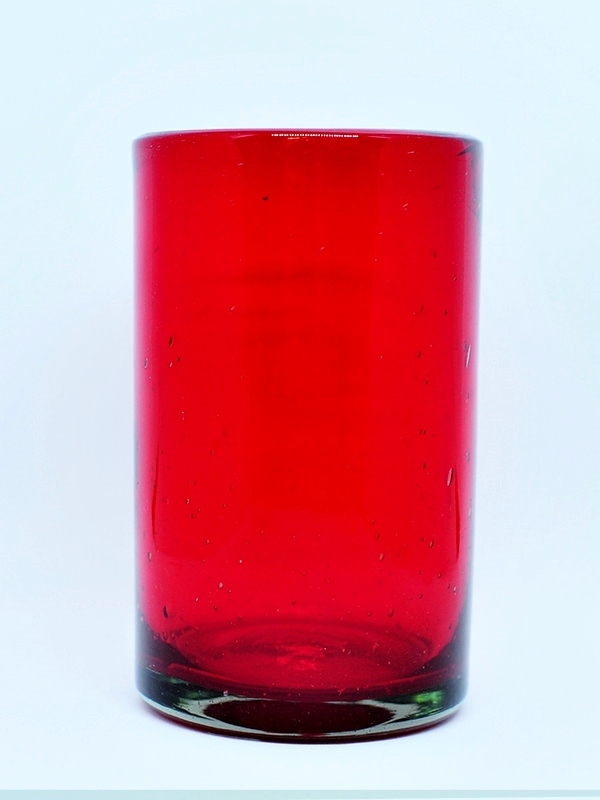 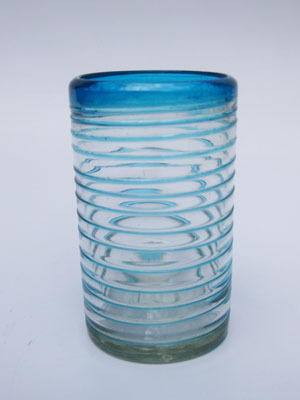 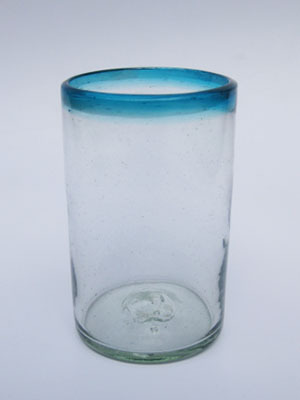 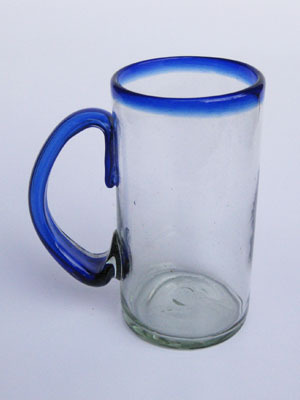 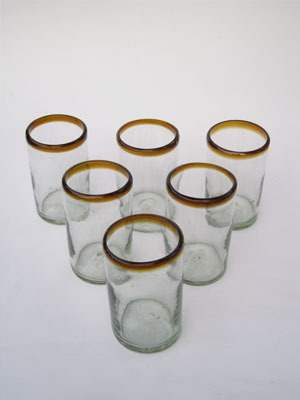 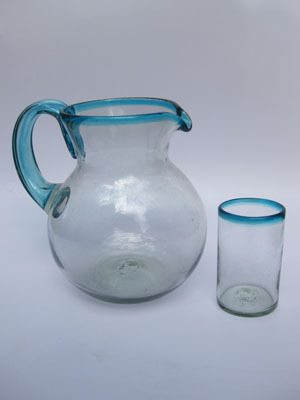 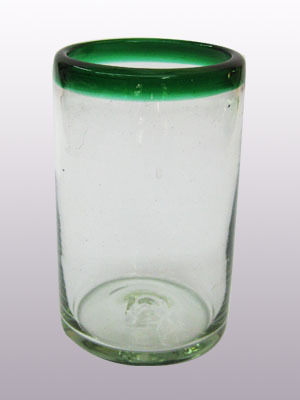 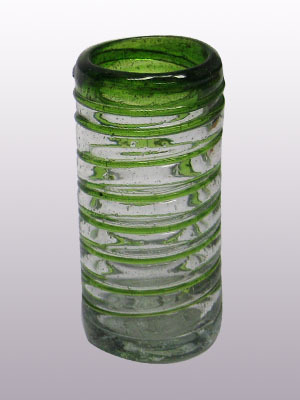 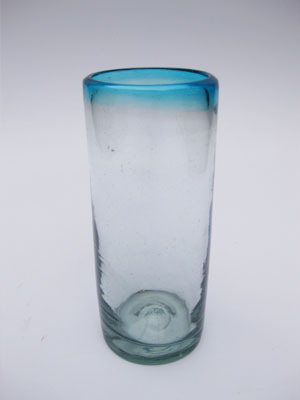 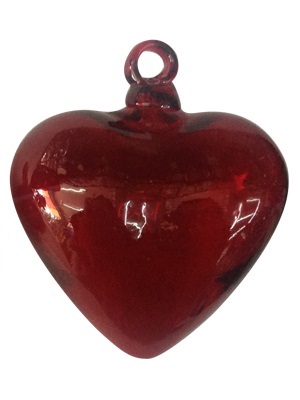 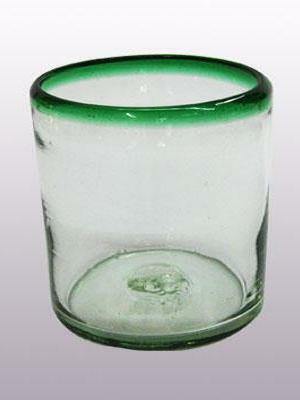 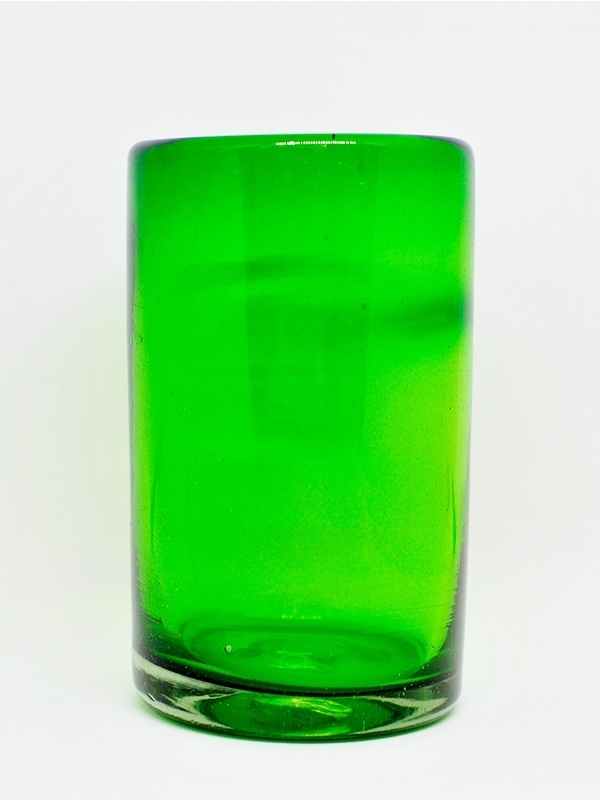 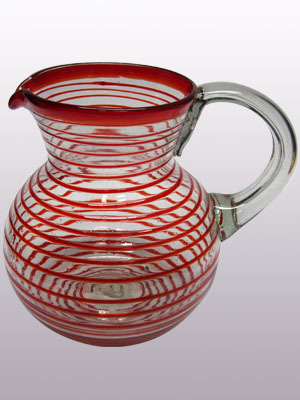 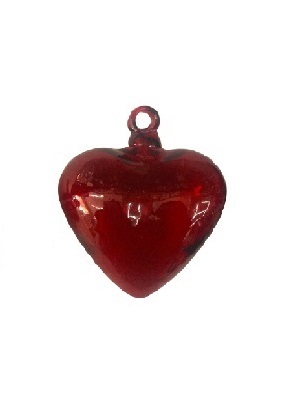 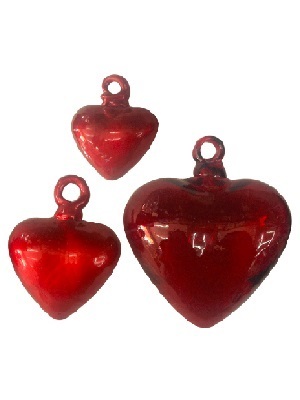 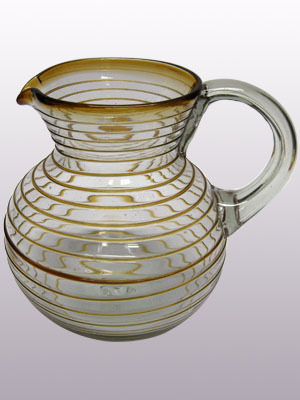 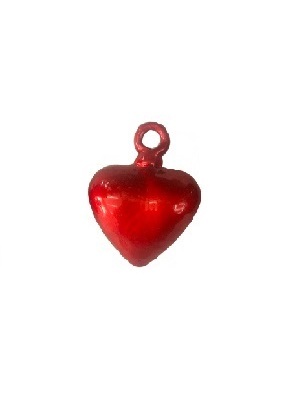 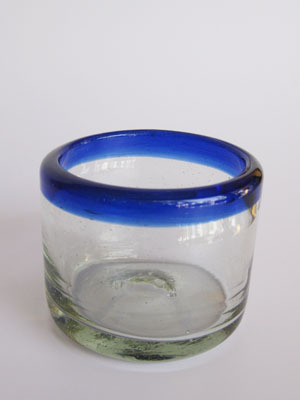 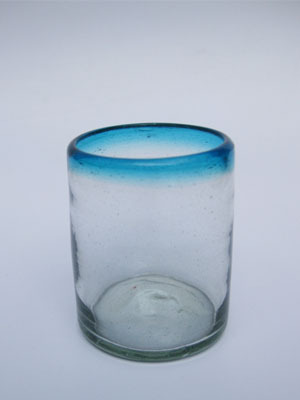 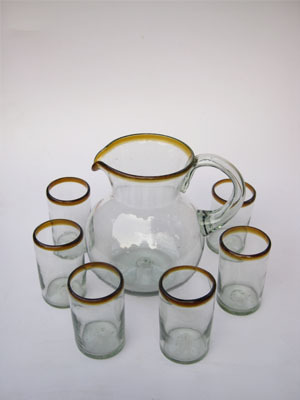 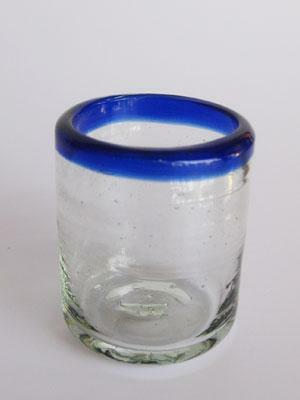 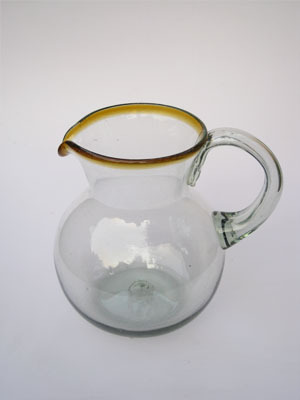 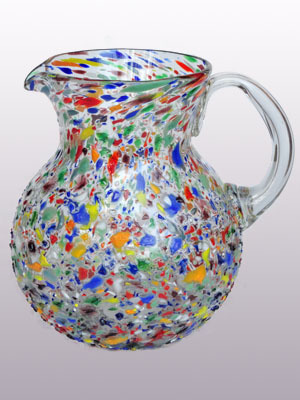 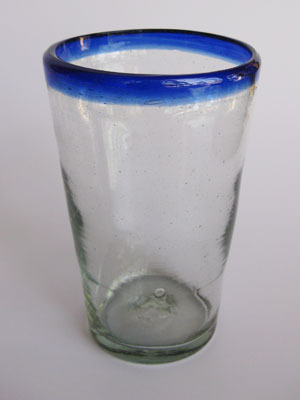 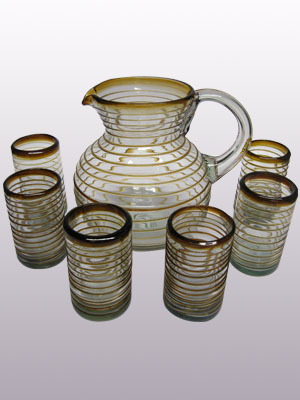 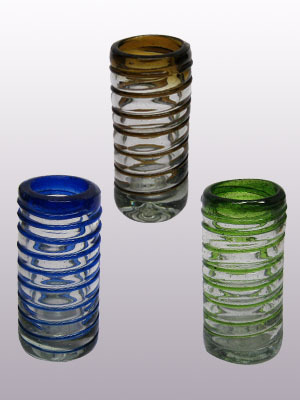 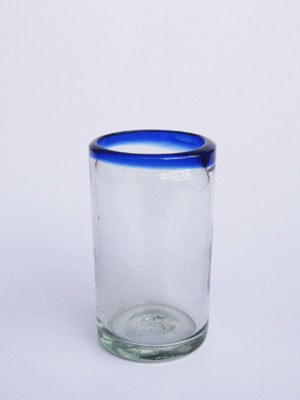 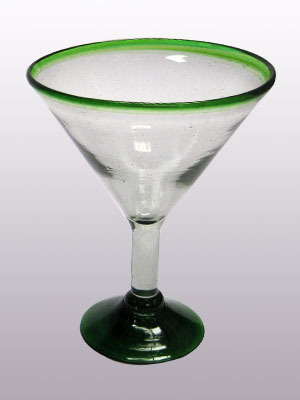 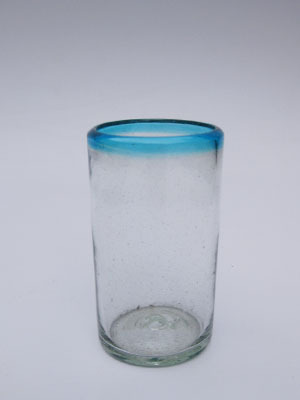 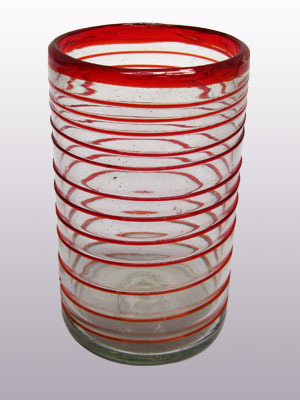 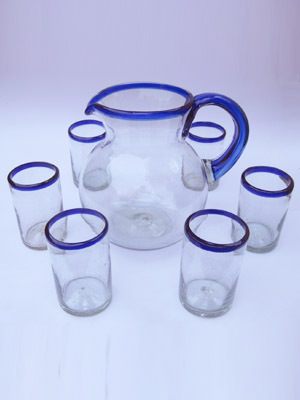 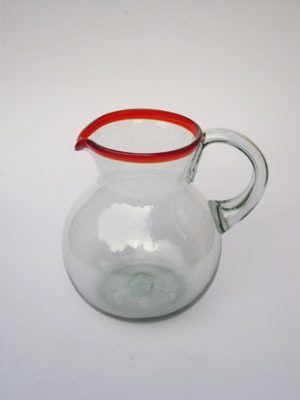 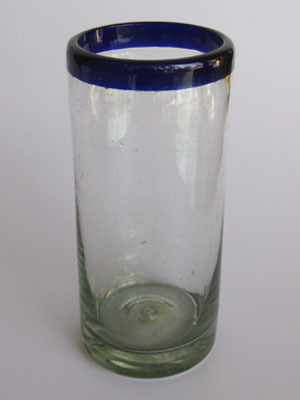 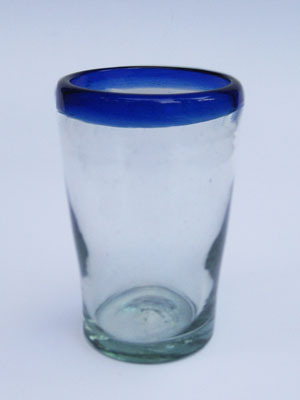 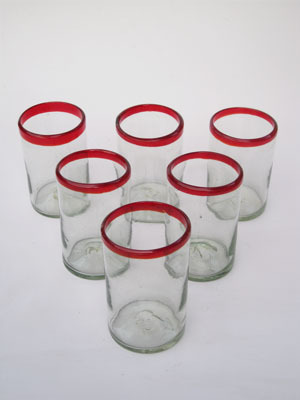 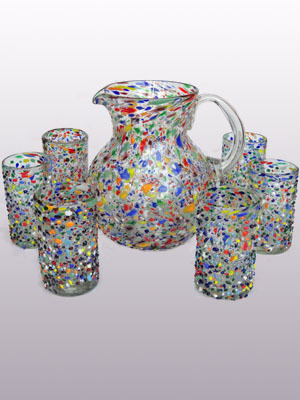 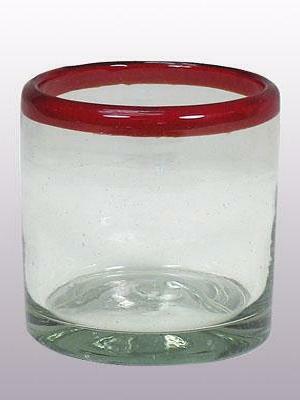 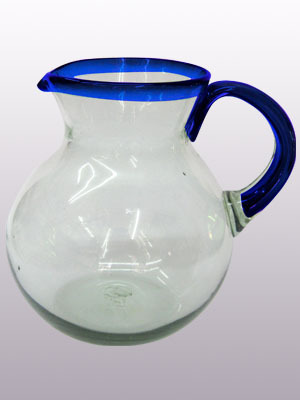 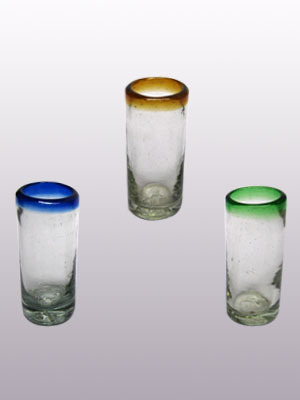 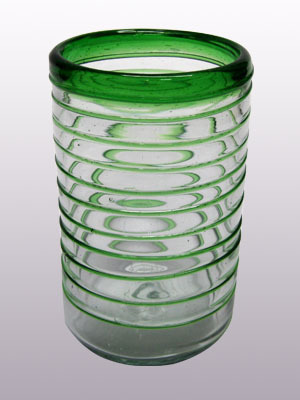 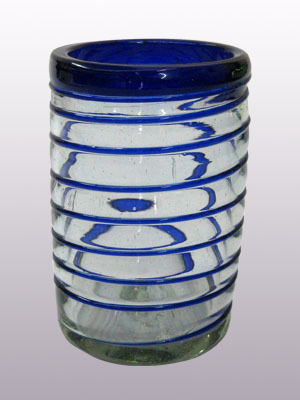 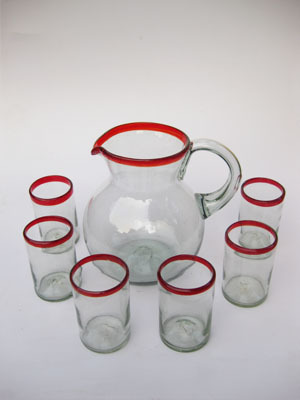 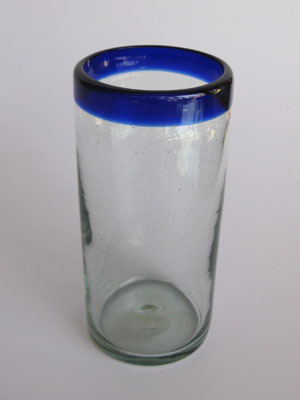 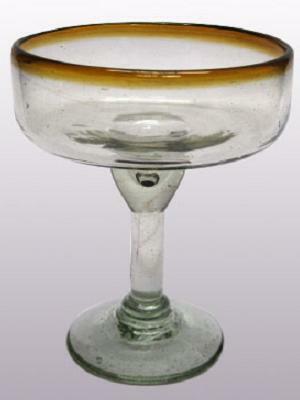 Usually made from reclaimed, recycled bottles and scrapped glass, each piece of Mexican blown glassware is unique. 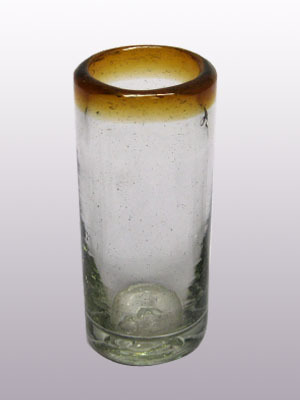 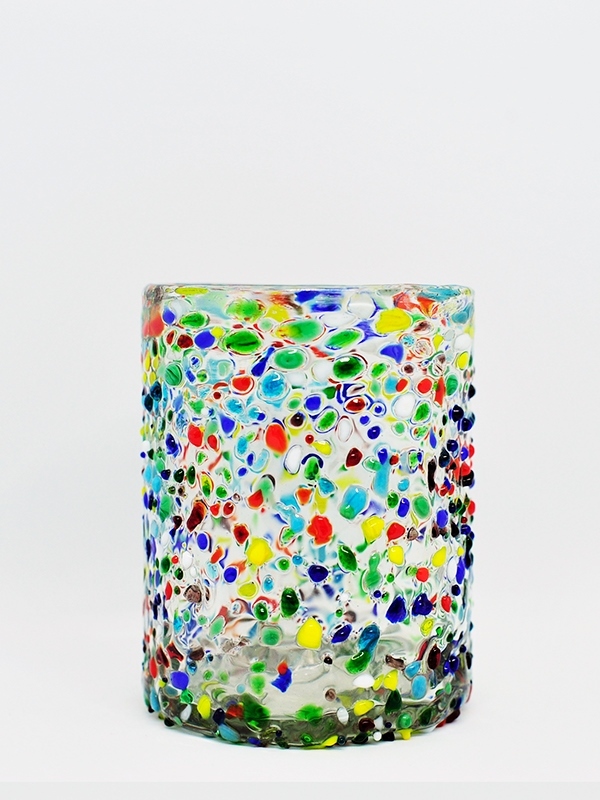 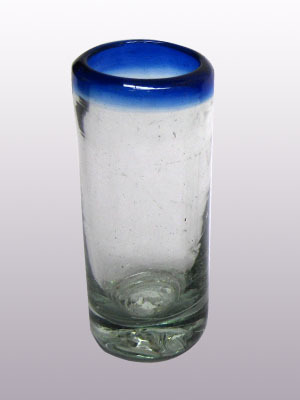 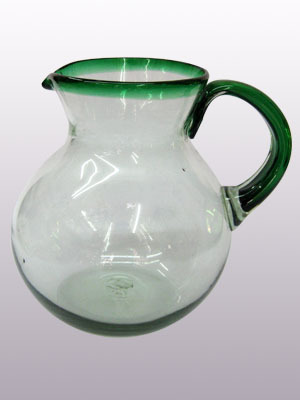 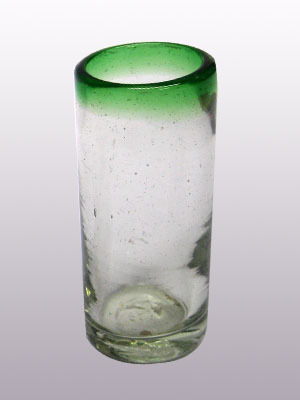 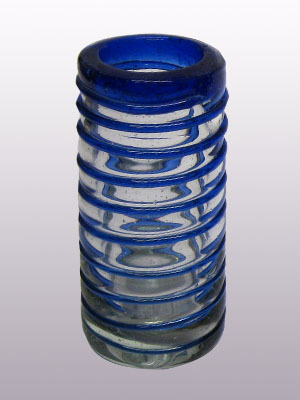 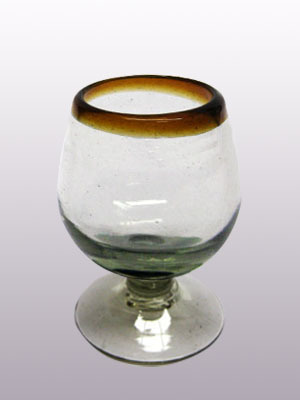 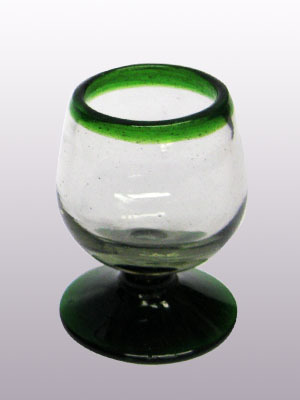 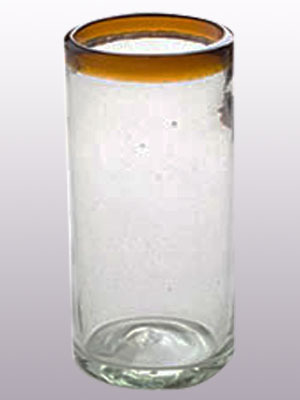 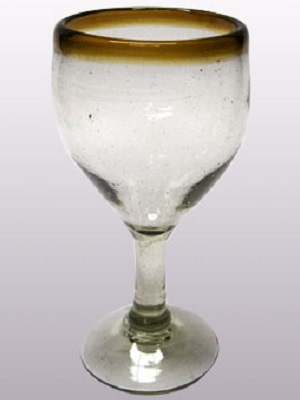 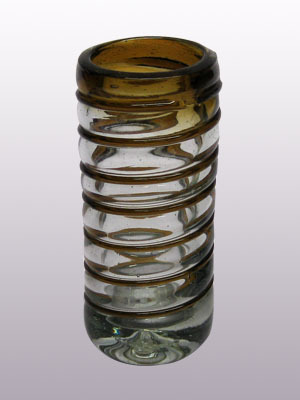 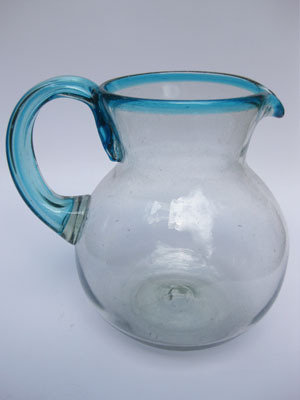 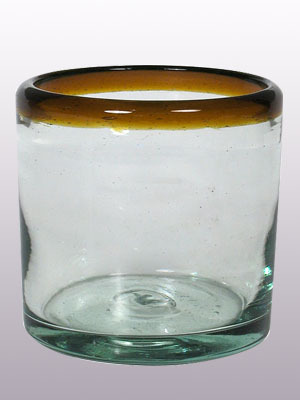 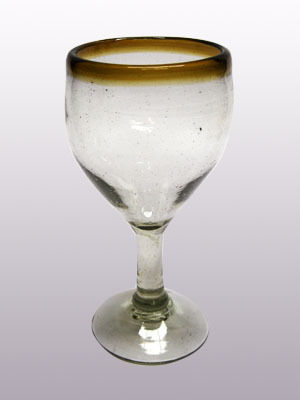 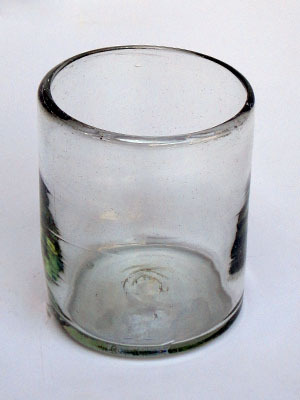 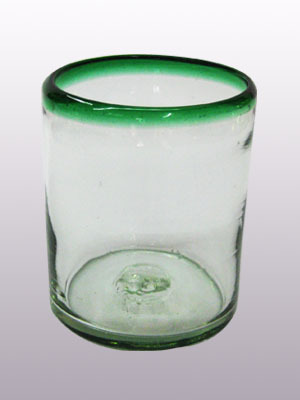 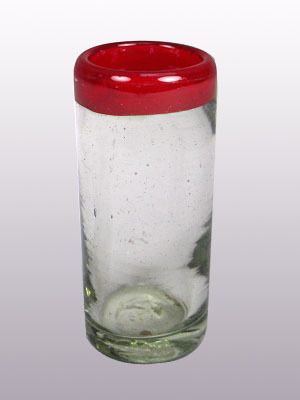 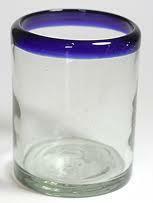 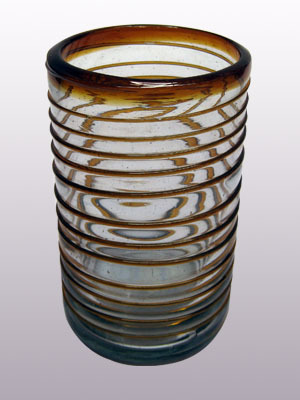 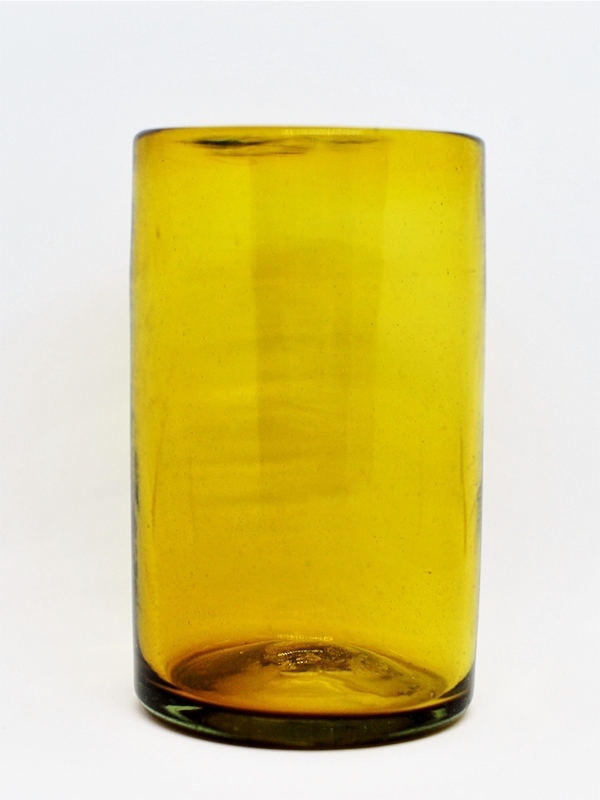 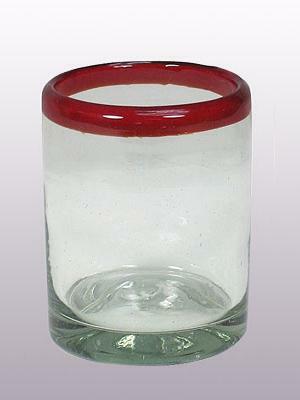 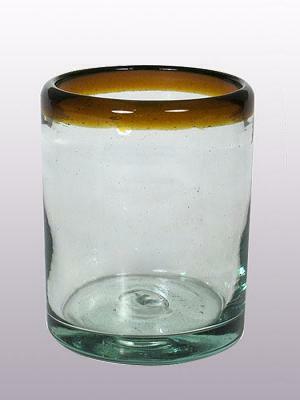 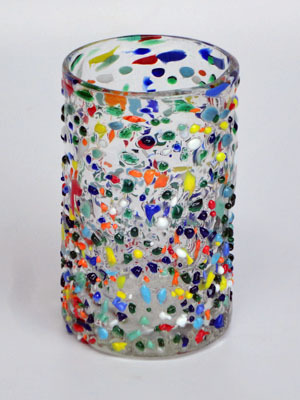 Once the reclaimed glass is melted down, artisans then attach a blob of molten glass to the end of a long, hollow pipe. 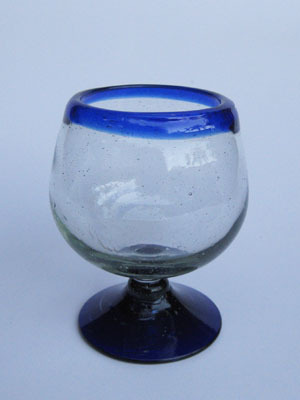 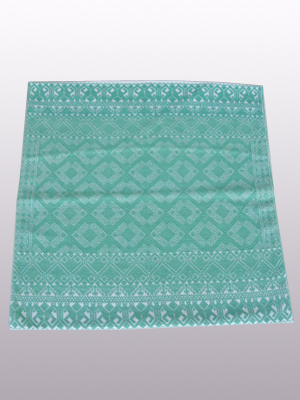 The artisan then uses his mouth and the power of his lungs to puff into the pipe, and blow the molten glass into the desired shape of a margarita glass, a pitcher, or perhaps a vase.